The watch sports a stainless steel case with a diameter of 42mm. WR100M case features a AR coated sapphire crystal at the front side. 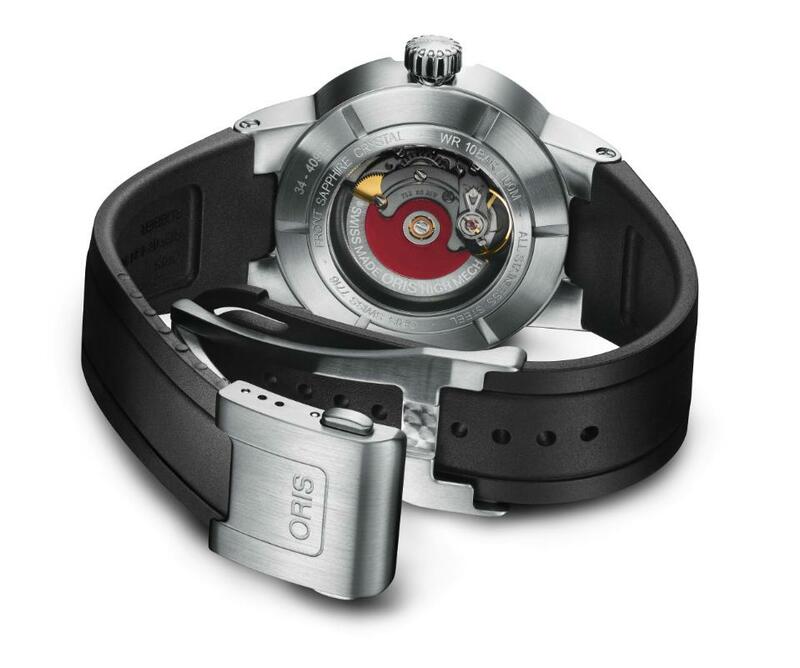 The symbol of the brand ‘’ red oscillating rotor ‘’ is present in Oris Williams F1 Team Skeleton Engine Date as well. 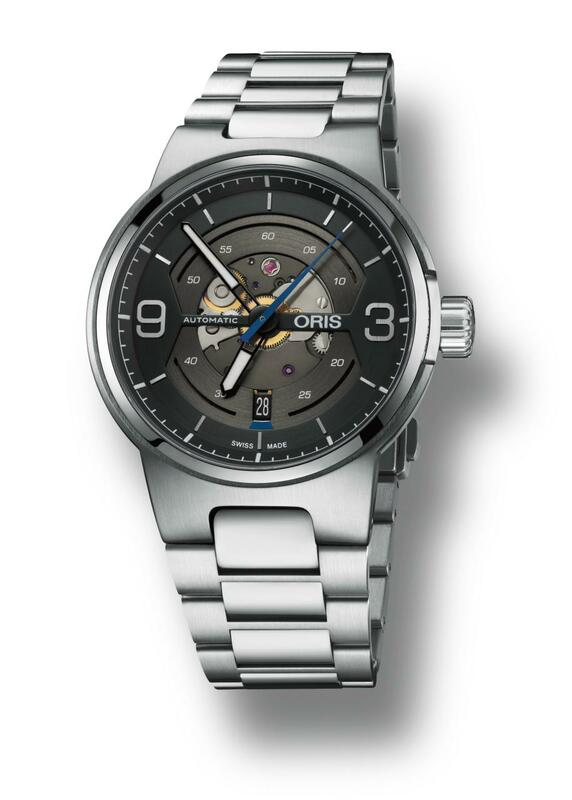 Oris Calibre 733 powers up the watch with a 38h power reserve on fully wound condition. The transparent case back allows the movement to be seen. The black skeleton dial features a date display at 6 o’clock position. There are blue accents that we are familiar from the previous Williams F1 Team versions which add a sporty character to the watch. 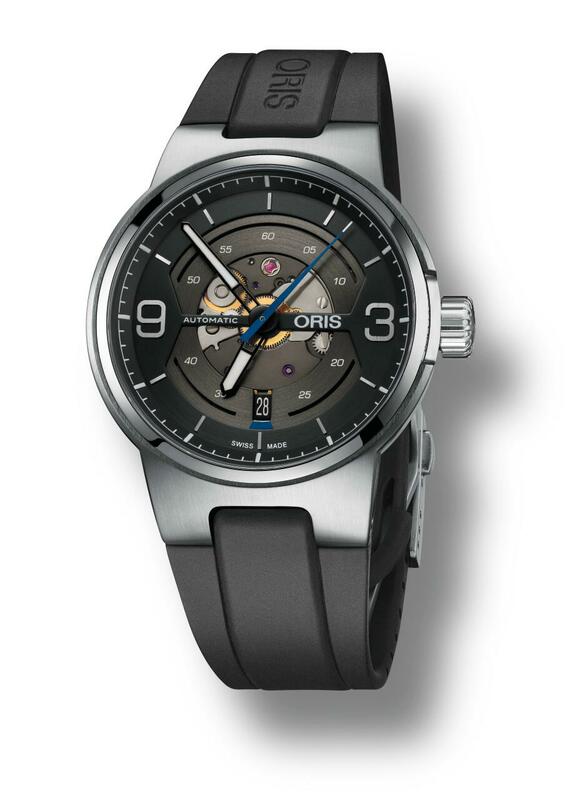 Oris Williams F1 Team Skeleton Engine Date is offered on a black rubber strap or a stainless steel bracelet. 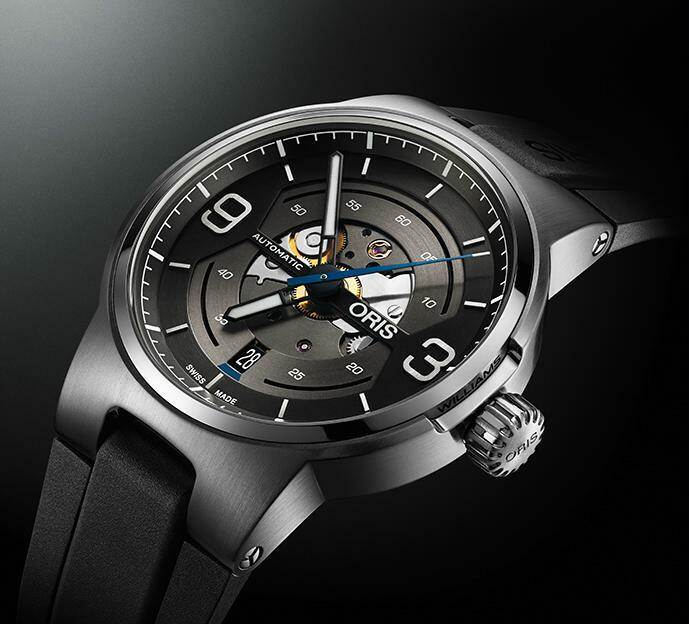 Stay tune for the exclusive photo shoot of Oris @ Baselworld 2016 soon..!